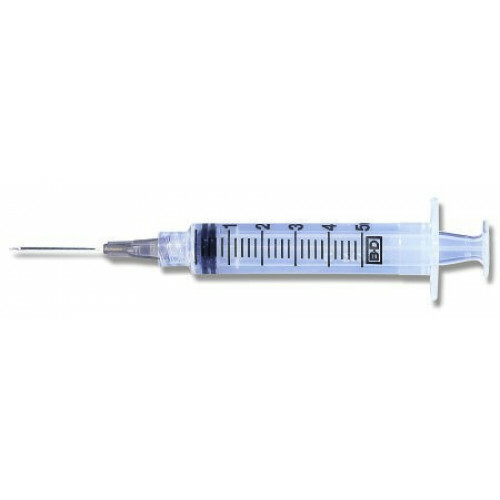 Best selling brand of hypodermic products in the U.S.; 5 mL BD Luer-Lok™ syringe with positive plunger rod stop and tapered plunger rod design. Packaging is clearly labeled latex free. I ordered a product that is difficult to find in our area and received it right away. Thank you for the fast service.